Photos Plus is the infinite-purpose photo, video and camera toolbox that enables fast, large-scale batch media editing. 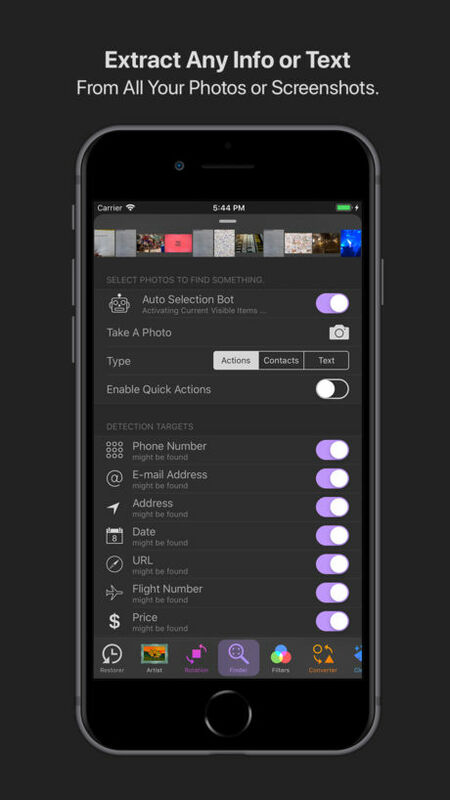 Just choose a tool and then select all the photos you need, then tap a button. It's that simple! 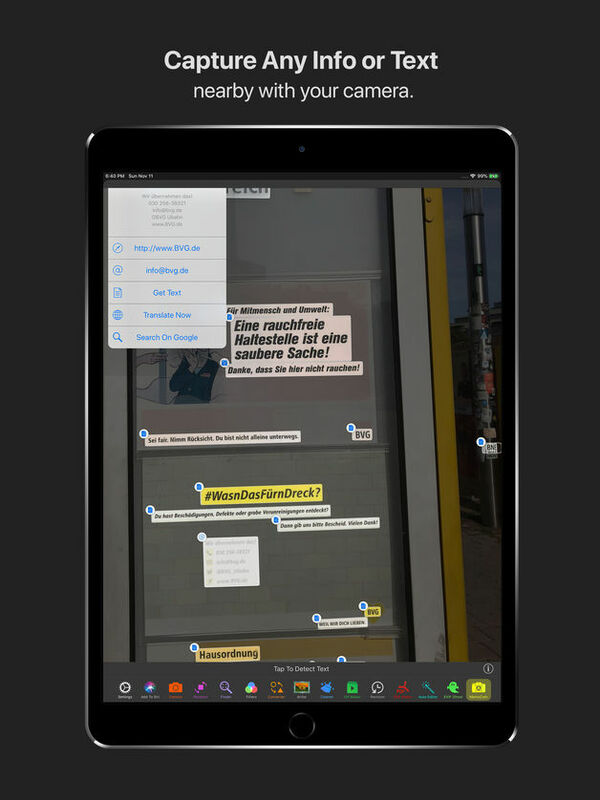 With Photos Plus, you can do anything you need to your photos with just a tap. The standard built-in camera which supports Depth Effect, RAW capture, and GPS metadata saving control for your privacy. Enables you to adjust the intensity of background blur after capturing a portrait. ASB is a multi-purpose assistant engine for choosing the relevant items for each tool. An easy-to-use but very powerful RAW photo editor that provides many advantages to shooting unprocessed images. Enables impossible editing quality compared with JPEG images. 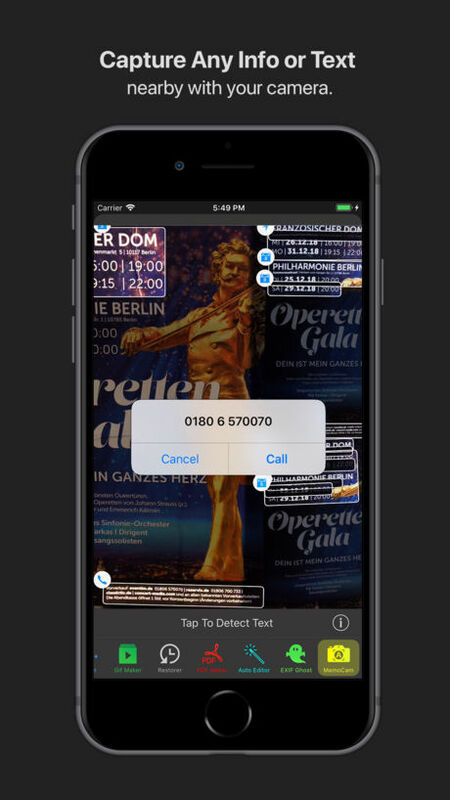 Extracts all info such as phone numbers, addresses, dates, URLs or even flight codes and the price info from your photos or screenshots. You also can translate or save them all as raw text. Many actions are going to be updated! Converter enables you to convert every media format such as Video, mp4, Live Photos, GIF or Burst Photo into each other format. Cleaner enables you to find and delete various kinds of incorrect photos such as blurred photos duplicate and similar images, overly cropped faces, blurred photos, lock-screen shots, or videos that are saved by Instagram for example. Additional actions will be added! Resize, crop and fill the frame with a blurred background to fit your photos(even also videos) into the various formats required by Instagram, Youtube or what you needed. GIF Maker allows for easily and quickly making GIF images from Photos or Live Photos with various options. Moreover, you can also open the converter app to convert them into every other formats such as Live Photos or Videos. EXIF Ghost lets you remove all kinds of data contained in your photos including private information. • Selective metadata wiping support for all properties of GPS, EXIF, TIFF. An AI-powered text and info grabbing camera tool, MemoCam enables accurately detecting and then extracting/saving all information such as phone numbers, currencies, barcodes, addresses, dates or URLs directly from a photo taken with your camera. The tool translates photographic data into digital text. A highly professional photo editing tool to edit expertly for each property in detail, for example, exposure intensity, vignette radius or many more. This straightforward but large-scale batch image transform tool lets you quickly rotate and flip many media files including Live Photos and Videos. this simple tool has no limitation to the number of photos that can be edited at one time. • Tested processing capacity: minimum 2000+a photos at one time. • Optimized for multi-core processing, dependent on the capacity of the iDevice model. Auto Editor lets you edit automatically if your photos need correcting. Finding and collects hashtags from photos that you've selected. Makes PDF documents from multiple images with various page options. +NEW Depth Editor 1.0: Enables you to adjust the intensity of background blur after capturing a portrait. NEW GIF Maker 1.1: Added shake reduction mode for stabilizing animation frames.